UPDATE - 6/30, 8:04am: It’s official: BioShock Collection is coming out September 13 for PS4, Xbox One, and PC. It’ll include BioShock, BioShock 2, and BioShock Infinite, although the latter game won’t be remastered on PC. The collection will be $60 and will also come with the DLC for all three games, although it won’t have multiplayer. There’ll also be a video series with director’s commentary from series designer Ken Levine. After leaking once in September, then again in February, then in March, it appears the BioShock collection is ready to leak for real this time. 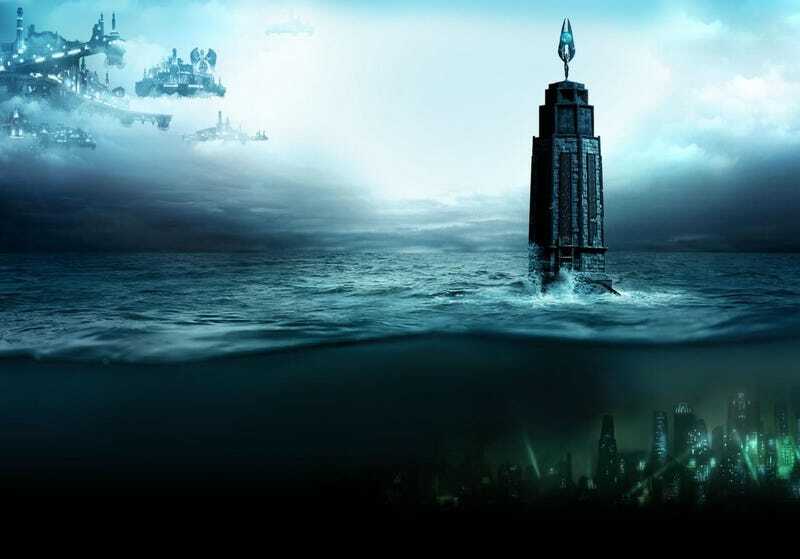 Coincidentally, 2K also started a Twitter account for BioShock today. NeoGAF diggers have already found a bunch of photos from the upcoming BioShock collection, so it’ll likely get announced soon. Safe to say this will be a current-gen version of all three BioShock games, including the DLC (much of which, like BioShock 2's Minerva Den, is regarded very well). Also safe to say this is one of the worst-kept surprise announcements in recent history.